Home » Car Seat » Reviews » Is The Graco Extend2Fit Worth Your Money In 2019? Babies seem to grow in size on a daily basis. Keeping them safe during car rides is of the utmost importance for all parents with a young one in tow. While still an infant, babies are supposed to ride rear-facing in an infant seat. However, when becoming closer to a year old, things can get a bit complicated as they transition and grow. We’ve all wondered what the best weight, height, and age is to move our babies from infant seat to car seat. The Graco Extend2Fit Convertible Car Seat offers tremendous safety, flexibility, and functionality for both babies and toddlers. But what other specifications are important to consider? Here, we’ll take a look at what the Graco Extend2Fit has to offer and whether it’s the right convertible car seat for you and your young one. The Graco Extend2Fit is a convertible car seat designed to protect your baby on the road at all times. 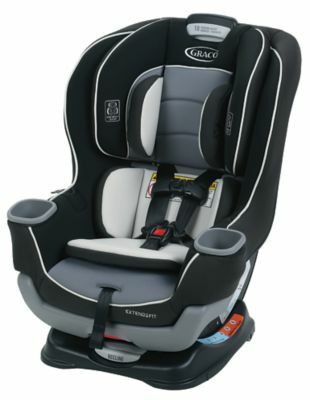 Perfect for babies anywhere from 4 to 50 pounds, this seat helps protect infants who are still rear-facing. Plus, it allows your child to grow into it, as it can also carry toddlers anywhere from 22 to 65 pounds who sit forward-facing. Not only does it allow your baby to get heavier, but it also allows them to get taller. Included is a 4-position extension panel that provides your baby with up to 5 inches of additional legroom. 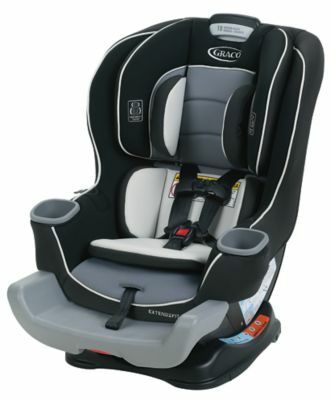 If your baby is picky about car seats, then the Graco Extend2Fit is one of the best options. The seat’s 6 position recline feature provides comfort for any baby, regardless of their taste in car seats. As with any product, the Graco Extend2Fit has its own capacities and specifications. With your baby’s safety as top priority, reviewing these specifications and becoming familiar with them is vital. 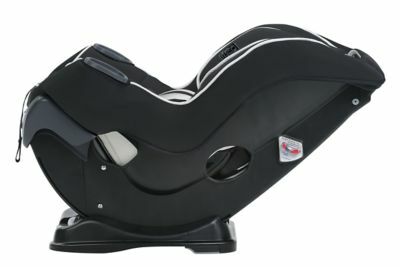 The height of the seat is 22.1 inches and comes with a head adjust in order to fit your child even after they’ve grown. It is also measured to be 19.2 inches wide and 25.2 inches deep. If these measurements are on par with your baby’s width and height, then it’s bound to be a good fit. However, it’s important to note that the size and height of your baby will have an effect on whether or not this seat will be comfortable for them. Therefore, taking specifications into consideration is essential. The Graco Extend2Fit convertible car seat is meant for babies and toddlers who are both rear-facing and forward-facing. Regardless of how old, tall, or heavy your baby is at the moment, this convertible car seat attempts to fit babies of all sizes. It can serve as a rear-facing infant seat or a front-facing toddler seat, depending on which stage of growth your baby is currently in. The purpose of the seat is that no matter what phase your baby is in, buying a new car seat won’t have to be an issue. The Graco Extend2Fit includes a variety of features, which makes traveling with your baby safely easier and more peaceful. Taking these features into consideration before making your purchase is important, as well as thinking about how they will benefit you and your baby. Your baby is growing constantly and quickly. Because of this, it’s helpful to have a car seat that can grow right along with them. The Extend2Fit convertible car seat has a 4-position extension panel, which gives your baby an extra 5 inches of legroom for whenever they need it most — such as when they suddenly hit a growth spurt. Babies can be extremely picky, especially when it comes to the way things feel. Riding in the car should be a happy time for the whole family, not a constant struggle between your baby and the car seat. To solve this issue, the Extend2Fit includes a 6 position recline feature, which makes finding your baby’s comfortable spot simple and easy. As a result, you can have better, easier, and more peaceful family car rides. Believe it or not, a baby’s legs aren’t the only things that grow — their torsos do, too. For this reason, babies can easily outgrow a car seat because their head no longer fits in the headrest appropriately and comfortably. The Extend2Fit attempts to solve this problem by providing babies with a 10-position headrest adjust, which allows parents to easily rearrange the headrest so that it fits their growing babies best. Sometimes, it’s not the car ride that makes babies irritated, but being moved in and out of the seat. Because of this, Extend2Fit has included harness storage that makes buckling up and getting out easy and painless for both babies and parents. The safety of every passenger in your car, especially young children and babies, should always be the top priority. Therefore, car seats aren’t something you should just throw in your shopping cart without doing a bit of research. 1. Why Choose a Convertible Car Seat? Believe it or not, the type of car seat it is can play a role in not only how safe your baby is, but also how long they’ll be able to use it. Convertible car seats are great for this because it allows your baby to grow without becoming too big for their seat too quickly. As a result, you save money and time. Although convertible car seats are among the greatest options for babies, there are still some things to take into consideration, such as age, weight, and height. Each car seat has its own capacities. It is recommended to keep your baby in their infant seat until approximately 9-12 months. The transition between these ages is the perfect time to move them into a convertible car seat, depending on how fast they grow, how much they weigh, and how tall they are. Even though most babies typically can ride in new seats within the 9-12-month age range, not all babies are the same. In many cases, some babies take longer to grow or reach the minimum weight. In order to make sure your baby is ready for the move from infant seat to convertible car seat, make sure to read for specific height and weight limits. Most convertible car seats have a weight limit of 5 pounds minimum, and anywhere from 40-80 pounds maximum. In terms of height, most seats can fit babies 40-57 inches tall. However, always look at the limits and capacities on the specific seat you consider, as each one is different. Often times, weight and height are overlooked by parents when transitioning their kids from infant seat to car seat. However, it is said that height is the most important of these limits. Therefore, it can be dangerous to underestimate them. Equally important as height and weight limits, knowing how to correctly install your convertible car seat is absolutely essential before buying it. Typically, the step-by-step process can be quickly demonstrated somewhere on the box or in the product description. While practically every seat comes with an instruction manual, it’s important to be familiar with how to set it up before making a purchase for a variety of reasons. For example, if you have more than one car that the seat will have to be transferred to and from, easy functionality and transparency are important in the set-up of the seat. If it takes half an hour to put the specific car seat in, it’s probably not the one for you. If you’ve reviewed the basic process of how to install the car seat but it still looking confusing, or you’re doubting your ability to do it correctly, then choose another option. Your child’s safety comes first and foremost, and proper installation plays an enormous role in keeping your baby safe. The Graco Extend2Fit convertible car seat does its best to provide you with the peace of mind that your baby is safe, along with the convenience of installing and readjusting. However, there is no such thing as a perfect product, so it’s good to consider alternatives if this one doesn’t seem right for you. After all, it’s not about the car seat, it’s about your precious baby’s safety. If the Extend2Fit isn’t quite within the family budget, the Evenflo Sonus Seat could make a better option. Not only is it cheaper, but it also has many of the same features, such as adjustability and both front- and rear-facing harnesses. Some kids are taller or heavier than others, so finding a car seat that supports their weight and height can be a challenge. If the Extend2Fit doesn’t provide enough support for your baby, then try the Graco 4Ever All-in-One Seat. Don’t be afraid to try a few different products until you find the best fit for your child. Finally, don’t let the car seat determine how your baby will ride — let your baby determine which seat makes it into your car.